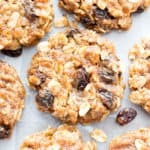 Chewy Oatmeal Raisin Cookie Recipe (V, GF): my favorite easy recipe for moist and chewy oatmeal cookies bursting with plump raisins and amazing flavor! Vegan, Gluten-Free, Dairy-Free, Healthy. 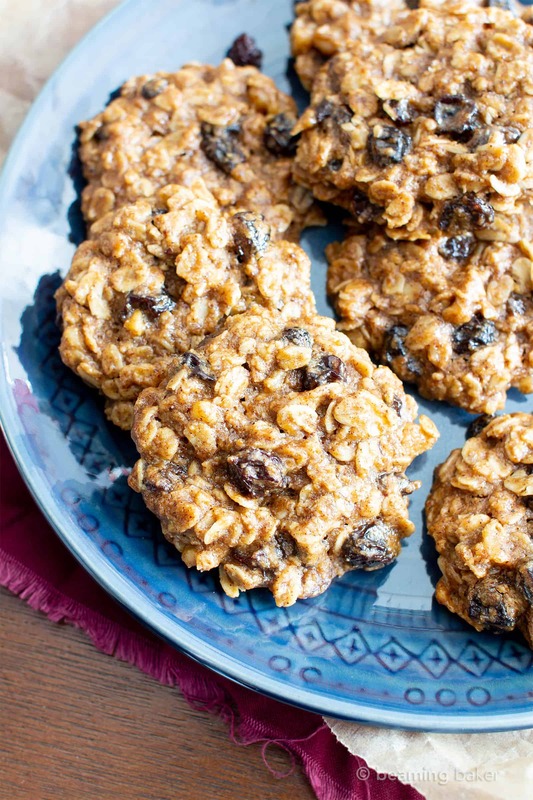 We’ve come a long way since those days… and I’ve shared many an oatmeal raisin recipe with you. 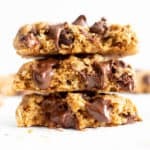 See: no bake oatmeal raisin bites, oatmeal raisin granola bars, 4 ingredient no bake chewy oatmeal raisin cookies and more. 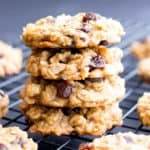 In fact, I’ve come such a long way that I consider today’s recipe one of my proudest accomplishments: this Soft and Chewy Oatmeal Raisin Cookie Recipe. In fact, the best chewy oatmeal raisin cookies! You guys, I nearly swooned when I tasted these oatmeal raisin cookies. Erik nearly swooned when he tasted these. Grams almost swooned. They’re THAT GOOD. So how did this all come about? Well, I currently have another vegan oatmeal raisin cookie recipe on the blog: these vegan gluten free oatmeal raisin cookies. Although they garner a lot of traffic, and a ton of you guys are fans of them… unfortunately some are not. Wha…what?!? I said it. And I’ll say it—wait, please don’t make me say it again! People love chewy cookies the way they love moist brownies (unless you’re just not a fan of that word, for some curious reason, do tell!). Since I get comments, questions, emails and more about my OG vegan gluten free oatmeal raisin cookies, I find myself thinking about them all the darn time. And during all of these cookie times, I’m thinking one word over and over again: CHEWY. 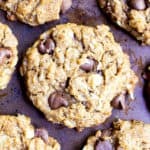 How do I make a Chewy Oatmeal Raisin Cookie Recipe? 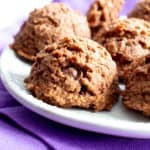 There were two ways to go about this concept of chewy—chewy like… chewy… hard (aka old-ish) cookies and almost like chewing a piece of taffy… or chewy like fresh-baked cookies or even day-old cookies (who’s a fan of these?? I am!!!) that have this delicious and satisfying texture to it. They’re substantive in a way that soft-baked cookies aren’t. The latter, of course! I wanted to make a cookie that didn’t fall apart super easily—that could, in fact, be thrown from one plate to another. Before you ask, I totally did this “throwing” test to gauge the sturdiness of my cookie recipe. 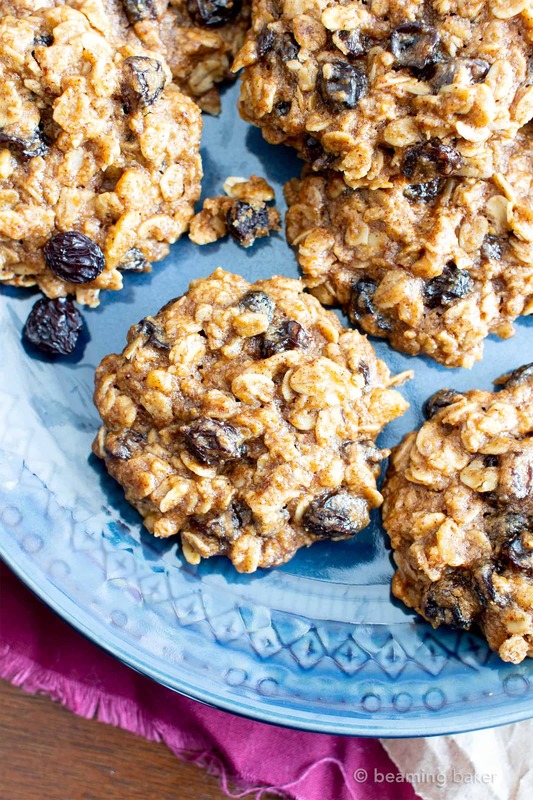 I wanted to make an oatmeal raisin cookie with the same Beaming Baker standards that you expect—easy to make, simple ingredients, vegan and gluten free, and friggin’ yummy—but with that junk-food level of chewiness. So what did I do? I employed the super powers of almond butter! Almond butter adds this richness, cohesiveness, and delicious butteriness to the cookies that just can’t be beat. No one’s gonna feel guilty about adding a bit of almond butter into their cookie dough, and that’s exactly what I wanted! Bonus, if you can’t have almond butter, try cashew butter, sunflower seed butter, or your favorite nut butter. Just keep in mind that almond butter has the most subtle taste. That’s why I love using it on the DL in a few amazing recipes. soft ‘n moist, but hearty and deliciously substantive! 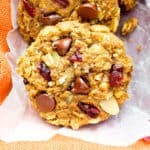 great for serving on a variety vegan cookie platter with: good morning breakfast cookies, this vegan chocolate chip cookies recipe, these easy vegan peanut butter cookies, and, of course, these almond butter oatmeal chocolate chip cookies! 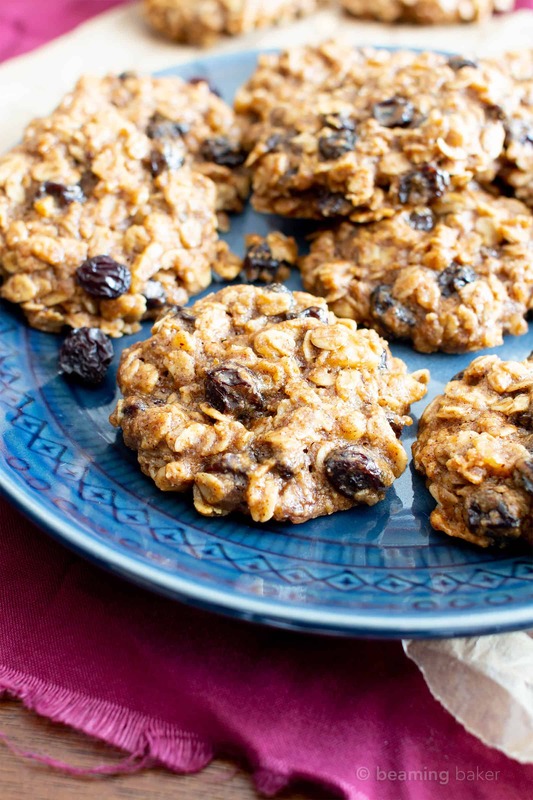 just the perfect easy vegan oatmeal raisin cookies recipe to add to your no-guilt cookie list! Try them and let me know what you think! You know I’m always just a comment, email, or IG story away. 😉 It’s truly so amazing to be able to make, bake, and share in all of these homemade moments with you. Thank you for stopping by and sharing a slice of something sweet with me. Pour the wet mixture over the dry mixture. Using the spatula, fold and stir until well mixed. Fold in raisins and walnuts. Using a 2-tablespoon cookie scoop, scoop and drop cookie dough balls on the prepared cookie sheet, spread evenly apart. Using a fork, flatten cookies to desired thickness—cookies will only spread a tiny bit. Cookie dough will be sticky. Bake for 12-16 minutes. Mine took 14 minutes. Allow cookies to cool on the cookie sheet for about 10 minutes (on a cooling rack). Transfer cookies directly to a cooling rack to cool completely before storing. Storing instructions below. Enjoy! 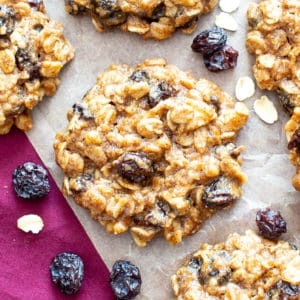 Try my favorite Oatmeal Raisin Recipes: Soft Baked Oatmeal Raisin Cookies, No Bake Oatmeal Raisin Energy Bites. Ooh these cookies look simply delighhtful! ???? Cannot wait to try them out! ???? These look so tasty and perfect for back to school lunchboxes! Oh yes! I think these would make a few kids (and adults) very happy come lunchtime. ???? These cookies are seriously calling my name! Haha it’s time to answer the call Jocelyn! ???? These look so tasty, I love a good chewy cookie! Yep! There’s just nothing like it. ???? Oatmeal cookies are my favorite! Will have to give your recipe a try. Woohoo! Hope you enjoy Lisa! 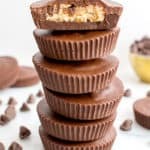 I saw these on twitter today morninvand wonder d about the recipe. Your baked goodies always leave me happily surprised. This is such a keeper and a must try. Aww thank you Sonal! ☺️ I hope you enjoy the cookies! 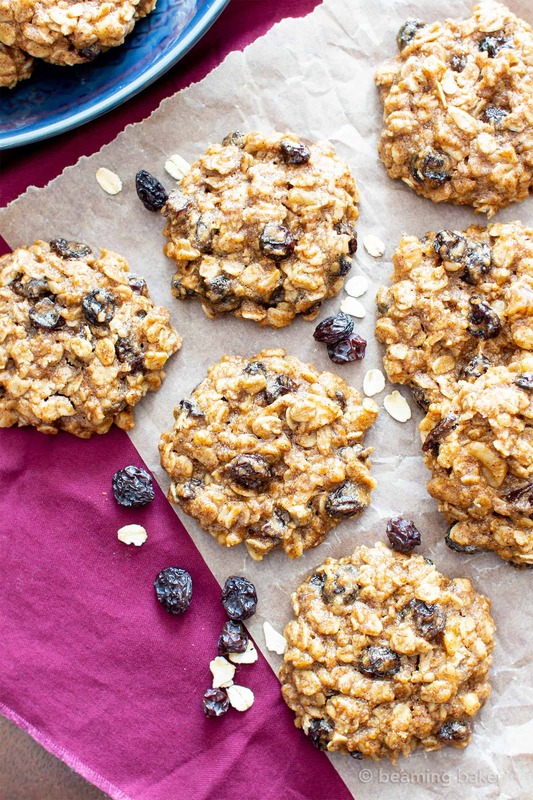 My husband has been wanting me to make some oatmeal cookies, so these sound perfect! 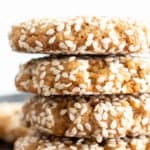 We definitely love chewy cookies and I love that these have no refined sugar! 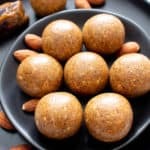 Can these cookies be made with regular eggs instead of the flax eggs? If so how many eggs would you recommend using? Hi Sue! Yep, they definitely can. 🙂 You would use the same amount, so two eggs. Happy baking! The picture alone makes my mouth water! I cannot wait to try these! Haha thanks Amanda! ☺️ I think you’re gonna love them! Made these tonight and they turned out perfectly! Going to be another staple in our house from your recipes 🙂 thank you !! Just delicious ! Yay! I’m so happy to hear you enjoyed them. ???? Thank you for taking the time to stop by and let me know! My friends would love these cookies! Sounds like you’re gonna have some lucky friends soon! ???? Yes! They always add such a wonderful flavor. ???? Hope you enjoy them Brittany! I need a dozen of these stat! They look sooo good! These cookies sound phenomenal! I would need to double the batch around my family. Oh yes, these are definitely double batch cookies. ???? Hi of course these look wonderful! Don’t suppose you trialed with something like sunflower oil? If so, would it be an acceptable substitute? Thank you in advance! Sunflower oil worked perfectly as a sub. We loved these, even more so on the second day!! Thank you for another great recipe! Yay!!! I’m so happy to hear it. It’s so funny how they taste even better the next day. 🙂 Happy Baking, Kaye! Exactly! Chewy cookies all the way! ???? 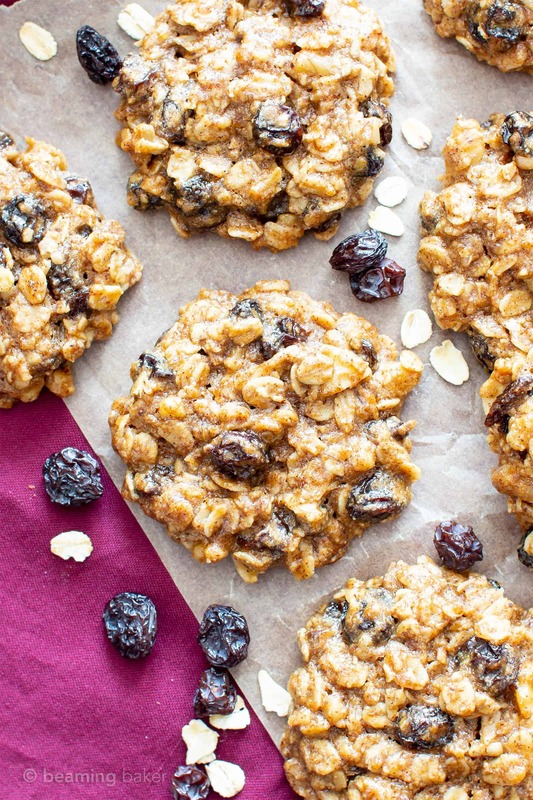 I love how this uses all oats instead of flour! And nut butters are the best in baked goods…such a delicious and healthy alternative to butter!! Oh yeah, these cookies are packed with all the feel good ingredients. ???? Oh, I wish I could grab a piece right now! These cookies look so good! Oh if only I could send you some thorough the screen! Wow, These cookies look so good!I am seriously so excited about these! 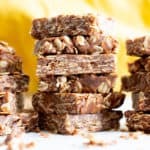 I LOVE using nut butters instead of butter in desserts and oats instead of flour! Cannot wait to try these. Can liquid coconut sugar be used or is this only meant for coconut granulated sugar?